Buy online for great seats and great prices. Bill Maher Aces of Comedy Tour is a limited engagement so grab your seats now! Get your tickets in "Real Time" with this link. 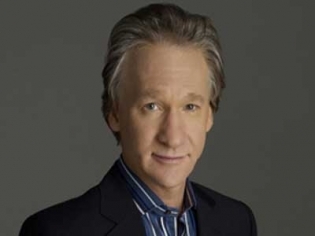 Enjoy a low ticket price to see the politically incorrect humor of Bill Maher. Bill Maher brings his brand of politically incorrect humor to the Aces of Comedy Tour at the Mirage. Known for his Comedy Central show “Politically Incorrect” and his HBO hit “Real Time” he tests the limits of where politically funny talk can go. In today’s political environment you can bet he has a full clip of ammo to fire off! Unless of course you don’t support the second amendment, in which case, his funny observations may just light you up!